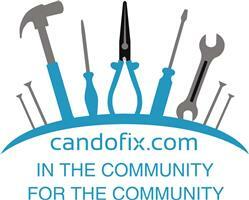 Choose Candofix for first-rate household repair and maintenance services, including reliable plumbing. Based in Tower Hamlets, London, our skilled team of traders is equipped to carry out a wide variety of repair, maintenance, and installation services. We’ll always dispatch the tradesman most qualified to the job at hand. Whether you’re looking to install a shower, need help installing countertops, or require plumbing and carpentry services, simply give Candofix a call. Our quality repair service is all you need to have domestic repairs completed promptly and professionally. Our team is multi-skilled and capable of accommodating projects of all kinds. Rest assured the assistance you need will be delivered promptly and accurately. Each of our craftsmen are qualified in a core skill, such as electrical services. Assessing your requirements, we’ll dispatch the trader that is most suited to the job. There’s no time wasted when you choose Candofix. We’ll reliably work on just about anything, from a repairing a leaking pipe to installing a new worktop. Perhaps a ceiling needs painting. While that paint dries, we won’t waste the opportunity to tighten up door handles, build flat-pack furniture, or generally help out with repair and maintenance tasks around the house. There are many jobs, large and small, that we are equipped to assist you with. This even includes the installation of stairways, railings, sheds, gazeboes, panelling, and more. Our handymen are fully insured and possess public liability insurance. That should give you complete peace of mind as our friendly, professional tradesmen carry out their work.